I stood, scrutinizing the vast expanse before me in the brilliant sunshine. My heart beat feverishly but otherwise I was paralyzed as I considered the prospect of swinging across the canyons of El Valle Grande in San Rafael, Argentina. A web of seven zipline cables and twelve platforms stood before me, all located more than sixty meters tall and over twelve hundred meters long. As long as I could manage not to smack into the mountain it’d only be a sixty meter fall to the water, right? As the guide from San Rafael with calm blue eyes and gauges finishes clipping in my carabineers he says, “Dale, lista?” Okay, ready? I held my breath, fixed my gloves, stuck out my feet as I think he mentioned in the Castellano instructions, gripped the top and front rope with all my might, and despite a little hesitation and butterflies doing acrobatics in my stomach, finally let go. Descent…WAHHH.. wait.. okay.. this is beautiful.. and rather exciting.. The wind teased my hair with a great woosh and all of a sudden I was a bird, slicing through the air as I snuck glimpses of the blue-green water below. Unfortunately I was so distracted by the view that I didn’t catch the guide at the other platform holding up his palm: the signal for me to ‘put on the breaks’ with my leather glove. At the last moment, I caught myself from crashing and halted to a stop. I made it. The exhilaration was incredible. Okay, maybe I can manage this, I thought. I gradually felt less and less apprehensive and began to take in the striking scenery and truly enjoy each of the following cable rides. A lot of my family and friends asked me why I chose Argentina instead of Spain. Europe is exciting, but I have always been intrigued by Argentine culture and economy. I think I simply wanted to try something different. It was a risk but I am so happy that I chose Argentina. It didn’t come without some bumps along the way, though. 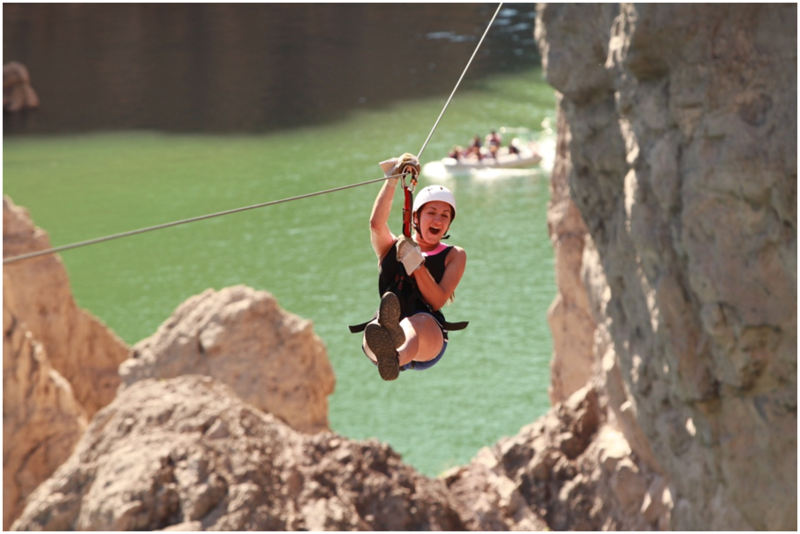 My experience of foreignness in Argentina is like the zipline. With different cultural encounters I am at first a bit paralyzed and apprehensive. 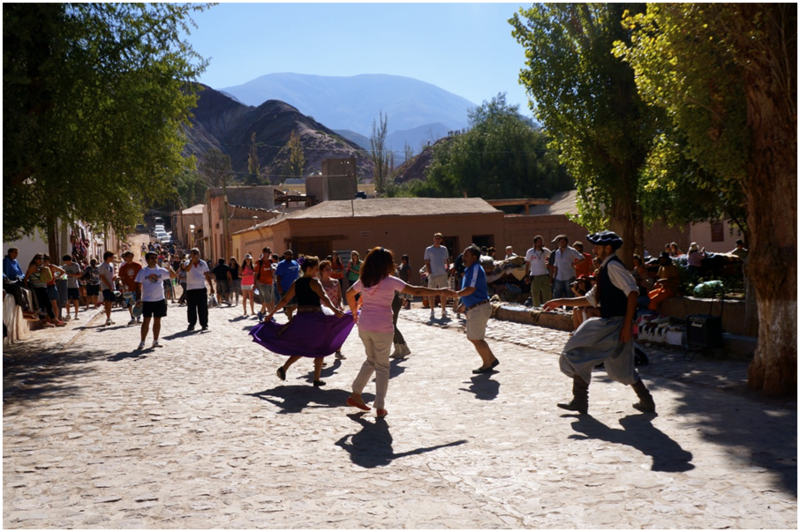 Language in Mendoza has been my most prevalent change in daily life and has given me the biggest feeling of foreignness. It has been a humbling experience to be thrown into a world where I need to work twice as hard to simply understand what is going on or to have a conversation. It’s easy to feel stupid when I fumble my words, need something repeated, or when I go to the café and try to order and the waitress gives me an appalled look. Argentines have a lot of slang, too. It is that much more rewarding when I begin to see myself being able to communicate effectively, picking up the slang, and being mistook for a Mendocina. Another feeling of foreignness stems from being from the U.S. specifically. Sometimes I can sense preconceptions that immediately emerge after I say I am from the United States. Although Argentines don’t dress too differently from Americans, blatantly staring is a common thing for anyone to do as well as piropos (comments or whistles on the streets). There is a considerable amount of economic turmoil here because the Argentine peso is so unstable. Argentines are passionate about politics and truly stick up for what they believe in. It is bizarre to hear some Argentineans speak about the U.S. as if everything is perfect there. I’ve found that I do enjoy discussing economics and considering the differences between the U.S. and Argentina with my host family and in my classes. Am I looking at life through a new lens? Do I have a worldview yet? The truth is, I have no clue. All I know is that I am living each experience fully. Like the zipline, at a certain point I realize that I have to just go for it. I’m hopping on to that horse who is named Arlequín after an Italian clown. I’m trekking the Salinas Grandes – a massive salt desert spanning miles in Northern Argentina. I’m walking into a fourth year economics class at the Universidad de Congreso filled with twenty Argentines and introducing myself as “Emily la extranjera.” Taking risks is exciting, but utterly terrifying. Like the zipline, sometimes I have to gauge myself and focus on ‘putting on the breaks’ when I get too caught up in travels and don’t spend enough time on homework or hang out with my American friends more than my Argentine friends. I am working to find a balance between being my proud ‘extranjera’ self while at the same time taking chances and adapting to Argentine life. Emily Seitz is a student at University of St. Thomas of Minnesota and studied abroad with IFSA-Butler on the Mendoza Universities Program in 2013.